Justin Breen is the Founder/CEO of BrEpic Communications and a Glenview resident. He partners with The Salvation Army and has been a volunteer bell ringer for two years. Serving as a bell ringer for The Salvation Army Metropolitan Division is one of the best things I do all year. 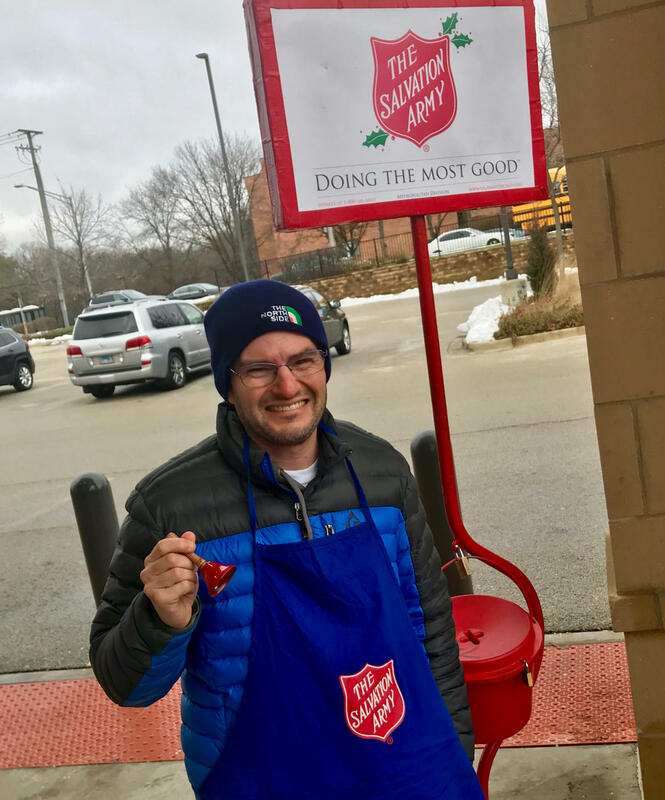 For the second straight year, I spent two hours in extremely cold weather ringing the red bell in front of the Walgreens at 1050 Waukegan Road in Northbrook. It is a wonderful experience to have people wish you Happy Holidays and Merry Christmas when they drop change or dollar bills – or even more -- into the red kettle. One person was so appreciative that she gave me two candy bars, which I gave to my sons – Jake, 6, and Chase, 4 – when they came to help me ring the ball near the end of my shift. There is still plenty of time to register as a bell ringer! You will have a great time and contribute to an amazing cause in the process.